It has been ages since I have been to Paris... I am talking almost four years! 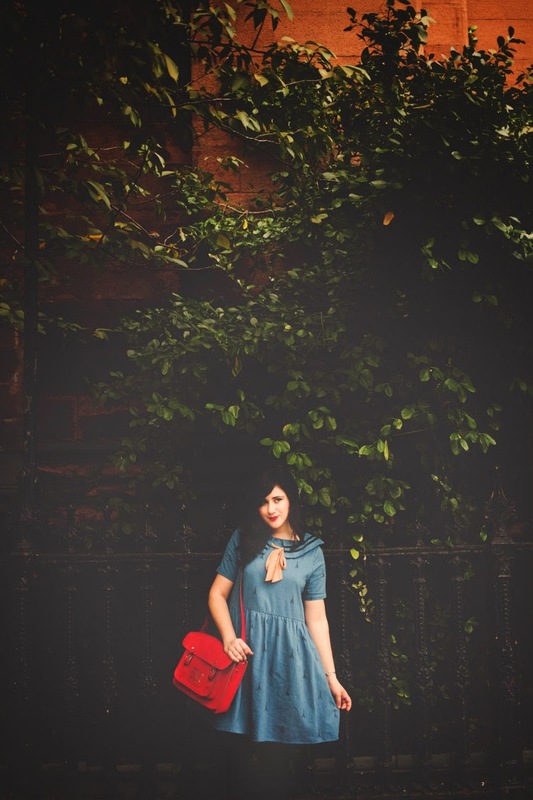 I have always had a fascination with the city however, so when I saw this dress from Pepa Loves i knew I had to have it. 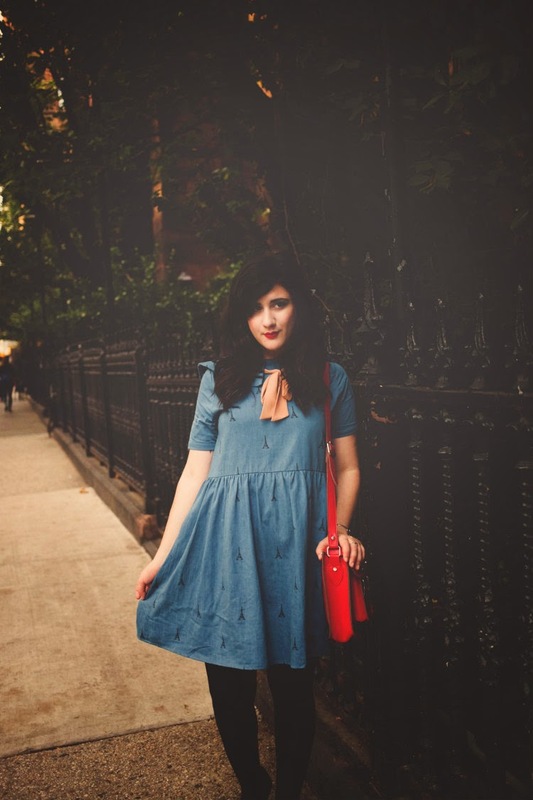 I love the whimsical Eiffel Tower print, and to top it, the sailor-inspired collar makes it the perfect little dress. This piece is from their fall collection which I absolutely adored. Their winter collection is out now as well and I must say I fell in love all over again! Head over to Pepa Loves to check out their adorable pieces :) . Anyway, I completely apologize for my lack of presence on the blog as of late... things have been so crazy, but I have a lot of exciting things in store for you all that I can't wait to share! Hope you all are having a wonderful week! Lovely look and lovely photos as usual! I have never been to Paris, but I would definitely love to go one day. 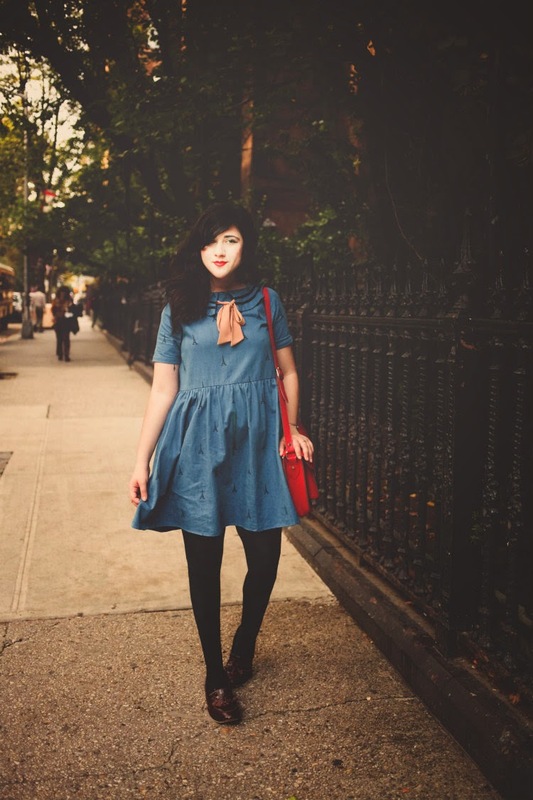 This look is very Parisian! And I feel you, I've been slacking a bit on the blog as well... Hopefully not anymore! Such a pretty, girly dress! 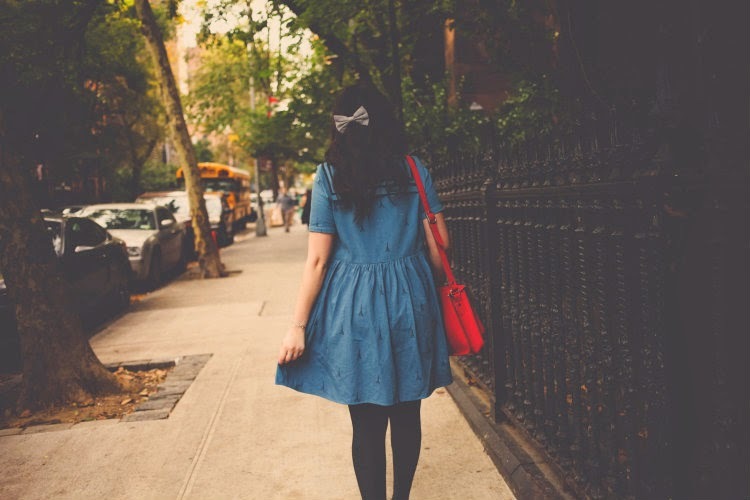 You look lovely in this retro outfit! saya sangat puas sekali dengan apa yang di sampaikan di dalam situs ini .. I've never been a big fan of Eiffel Tower prints, but this is so subtle, I really like it! Very cute. I'm also longing to go back to Paris too, hopefully won't have to wait too long! love that print on dress! your complexion is amazing, and this dress is the cutest. Terima kasih sudah berbagi informasi bermanfaatnya semoga sukses dan lancar terus !!! that dress is so beautiful!! disitus ini kami temukan banyak pelajaran baru, trimakasih sudah berbagi ..
terimakasih gan infonya sangat bermanfaat juga menarik .. I'm going to Paris in April and it is my life dream! Your dress is very pretty. 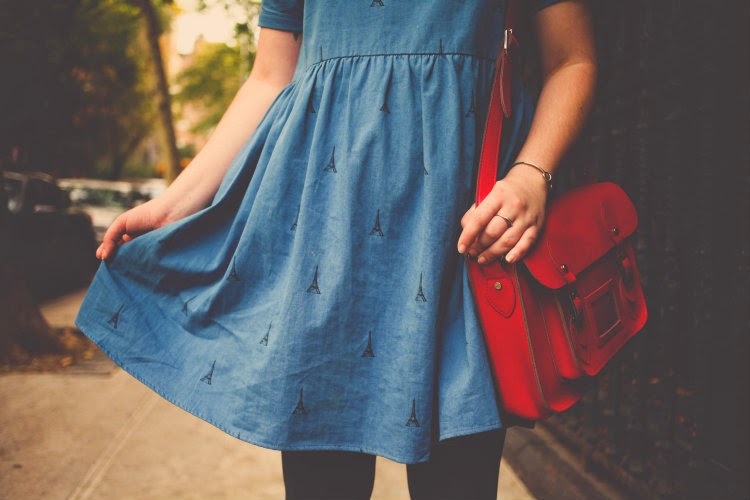 I love the the design, the Eiffel Tower print and the combination of the blue colour of your dress with the the pink bow and your red bag and lipstick. senang bisa berkunjung dihalaman yang sangat bagus ini dan tetap semangat dalam menyajikan informasi terbarunya..
informasi sangat bagus dab bermanfaat .... ayo kasih kami terus informasi yang bermanfaat lainnya sehingga memberikan kami wawasan yang lebih luas sekali, Semangatttt . . .